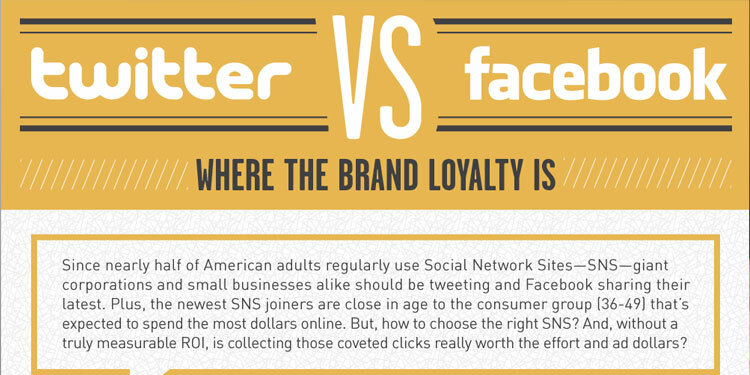 Twitter vs. Facebook: Which is Better for Business? So there is no doubt that pretty much all UK businesses have at least heard of Twitter and Facebook by now. Most will have dipped a toe in the water to find out what all of the fuss is about, set up a brand page and will be looking to establish how a social media campaign can become part of their business strategy.Lots of forward thinking brands now are using both Twitter and Facebook as a targeted social media marketing tool and will be reaping real benefits, but which one is better for business? Which one holds the most for brands? Some smaller businesses will find it hard to separate the two. It is more time consuming than it first appears effectively managing pages on both sites. Both sites their benefits, but are very different from each other. If it came to the crunch and you had to choose one, which one would it be? We found this great infographic courtesy of BuySellAds.com and Column Five. The gloves have come off and two social media giants are compared, head to head! Do you have a favourite or can you not separate the two? We would love to hear your thoughts via the comments section!